How to use food coloring pens to decorate cookies and marshmallows. Food coloring pens are a fantastic tool for decorating cookies, marshmallows, and other treats. Here is everything you need to know about food coloring pens. How do you use food coloring pens? Those of you who have been here before may already know this, but I have a thing for drawing on food with edible writers, also known as food coloring pens. Particularly marshmallows. See? HERE are a billion ideas for drawing on food. 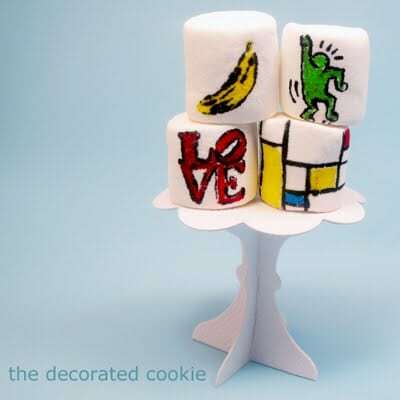 I came up with this idea for marshmallow art in 2009 in the midst of a housing search when our belongings were in storage, we were living in temporary housing, and then we went through a kitchen renovation. Marshmallow art is so quick, easy, kid-friendly, versatile and oven-free, so it was perfect for our transient life at the time. Edible markers, gourmet writers, food writers, food coloring pens… the many different terms are just as confusing as the many different brands. This post is all about food coloring pens: what brands to buy, where to buy them and what you can do with them. Food writers are markers that have edible ink, NOT to be confused with “candy writers” that you find in the craft store. Those come in tubes. I don’t use those. So they are essentially markers for food. 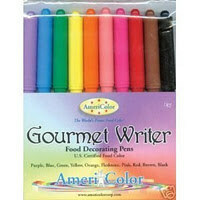 Americolor Gourmet Writers, set of ten. These are my favorite writers. They have good flow and are easy to use. You can get finer detail by using the tips and cover thicker areas by using the sides more. If you only buy one set of writers, buy these. You can buy Americolor Gourmet Writers on amazon.com and many other online sites. FooDoodler. My next most-used writers are the FooDoodler Fine Line set of ten. The fine line is even finer than the Americolor Gourmet Writers and I use this a lot for very fine detail. FooDoodler also carry thicker food markers, which are good, but I rarely use those, only because I draw such small things. If you don’t need a super-fine line, then they work well. The perfect combination of markers–if you buy two sets–are the Americolor Gourmet Writers with the FooDoodler fine line set. 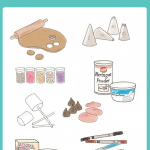 Learn more about FooDoodlers on their site. FoodWriters. Wilton, the masters of food craft, of course sell food writers. They are good writers and have a good flow, but the tips are a bit thick for the detail I like to draw. However, the pros: they are widely available in most major craft stores, they come in a variety including lime green (yay), and they are great for kids. When my 3-year old decorates marshmallows, I give her the FoodWriters. You can buy them on the Wilton site, in craft stores. Amazon has some FoodWriters here or this set if FoodWriters with the lime green missing from Americolor and Foodoodler. The sets are smaller, so you end up needing to buy a couple different sets. I’m partial to the “neon” colors. KopyKake pens. The set of KopyKake pens are also OK. They have two ends, one thick and one fine, which is great. The fine end gives the same detail as the fine line FooDoodlers. The other big bonus? The set has two greens, including a lime green. I use lime green a lot, and I miss this with the other sets above. The down side to these? I feel like the flow is a little dry and they run out of ink more quickly. 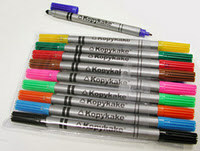 Much more quickly.Find KopyKake pens at amazon. 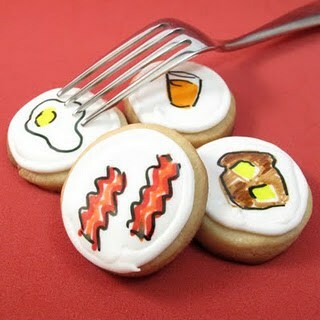 A few examples are below, but CLICK HERE to see all my ideas for drawing on food. buttercream frosting. Frosting won’t fully harden, and the bumps and grooves make this a bad surface for writers. Let your surface dry well before using the writers. Marshmallows and fondant will stiffen if left out for an hour or so. And flooded royal icing MUST dry overnight. 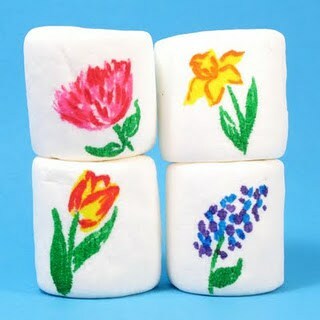 Don’t try and layer colors, unless it’s for effect (like the spring flower marshmallows above). The bottom color will show through. Only black witll cover other colors, so I often outline with black last. When switching colors, let the first color set about ten minutes so you don’t accidentally pick up another color with your marker and to prevent bleeding. 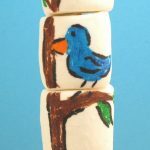 Marshmallow art shown below is from my INSTAGRAM page, MALLOWART. Thanks for that comprehensive list! I've tried the Americolor before and didn't have a whole lot of success. However I think I was trying it on candy melts. I'm a big fan of your drawing on food ideas and how-to's! Keep 'em coming! Hey!! I have had a little trouble with bleeding when I use the black pens(americolor and moorland brands) on a cookie flooded with royal icing that has dried overnight.. And not from pushing too hard and puncturing the icing… I am in Memphis and it's very humid here… Any suggestions?? Thanks!! Laurie aka Whimsy Cookie Co. Thanks for this post- I need some better pens than the ones I have and this will be really useful! Laurie, is the bleeding happening right away? Or does it seep into the icing? I would try leaving your flooded cookie to dry for 2 days (agree that humidity can be a big culprit), even with a fan on them, also, I would try using less water when you flood. My flooded icing is thicker than most flooders use b/c I really think water causes a lot of problems beyond marker bleeding (like splotchy icing). But that's just a guess! Great post. When I make my Hello Kitty cookies I use a black marker,I do use very little water when I flood them and I have never had any issues the markers. Yes! lol … I like the refresher course, might just have to do some food "drawing" this weekend! I am glad the one set I do have is your favorite…but of course now I want them all! I think everyone should own them all, and your faves are pretty much mine, reverse the Wilton and KopyKake. WODERFUL WONDERFUL post! you had me at edible….but seriously I owe you a lot of fun times here at the Shamp ranch. Sophia and I have had so much fun with drawing on food inspiration that we find here. Can't really thank you enough. One of the TOP things Sophia wanted to do this summer was have a draw on food day with her buds. That is cool. Geez, throw in making a kid happy and put me over the moon! You are a pioneer at drawing on food! Thanks for the great post and your never-ending great ideas! Thanks for the informative post. I have yet to dive into edible pens, so this was so helpful! Ooo….I've never even SEEN the KopyKake ones! You mean, I need MORE cookie stuff? The answer always seems to be "Yes!" I like using the the pens to draw of the fruit tingles lollies you can see what I men on my Facebook page. Thanks for the tips. Trish from Sweetology 101 sent me over here after I lamented to her about my inability to use an edible marker. I will be sending for some new markers ASAP. Thanks! Aw, Trish is the best! have forever wanted to try with my rubber stamps…. I heard about painting candy color with alcohol works too. Have you tried this before? And if so what type of alcohol and candy colors? Thanks! Yes, you can use food coloring as paint and dip your brush in alcohol instead of water so the surface doesn’t become soggy (as the alcohol evaporates)… though I actually use water instead of alcohol and have had no problem, even on fondant, since I use water sparingly. But I’ve also used a bit of vodka or clear vanilla extract and it works. I am wondering if I can use Staedtler Noris Club markers on my food, it says they are made with food coloring but I haven’t seen any example of someone using these on food online. Do you think they would work and especially would they not make people sick? It says non-toxic. Thanks! Hi Natinha! Unless the markers are specifically for food, made with food coloring, I wouldn’t use them on edibles even if they say non-toxic. Unless of course, the food is for decoration only and not to be eaten! Oh, what a wonderful world if we could, though, given the detail you could achieve with real markers! Hi Meaghan, very informative post! I recently tried my hand at cake pops. I’d planned to paint designs on them after the candy melt coating had set. But the paint wouldn’t stay on … it just kind of separated and formed individual droplets. I used a standard Wilton gel paste, tried diluting it with lemon juice first, and then just the paste by itself, but it didn’t work. Any ideas? Thanks! Yep, I know exactly what you mean. Some surfaces take the food coloring-as-paint (you can also dilute a bit with alcohol, vodka is best, as it evaporates, though I just use a couple drops of water). For example, fondant that has stiffened a bit and royal icing that has totally dried takes food coloring paint very well. But candy melts don’t. There are just too many oils/fats in them. 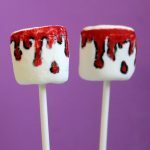 It’s also difficult to use an edible writer on cake pops dipped in candy melts, though it can be done, as evidenced by the jillions of cake pops online that have been decorated with edible writers. When I draw on cake pops, I use a good edible writer (such as Americolor Gourmet Writers), draw on them sparingly (such as just dots for eyes or a smile), and use the tip of the marker. If you want to TRY painting on cake pops with food coloring, the craft store carries another Wilton brand of food coloring called candy colors. They come in sets of 4 in little tubs that look like the concentrated gel pastes, but it’s special food coloring for chocolate and candy melts that don’t react with the fats. I’ve not tried to paint on chocolate or candy melts with it, but if any food coloring works at all, that would be it. Have you tried the new Wiltons Food-Writers that are specially designed to work on their candy melts? I would appreciate your opinion on them. Do they truly work well on the candy melts? Do they work on the fondant and marshmallows, like the normal food writers? Any light you can shed on the subject would be fantastic. Wait, Wilton has new food writers that work on candy melts??? I’ve GOT to try them. I haven’t. My guess would be they would work on fondant and marshmallows, too. I’ll see if I can find some and try them. Thanks for the tips! The sight doesn’t say if they work on marshmallows or fondant, and I STILL haven’t bought them, so I don’t know. I use those exact markers sometimes, because of the green! They work on marshmallows and stiffened fondant, definitely :). Thanks so much for your reviews! I have the Wilton ones but I think I’ll try out the Americolors next. 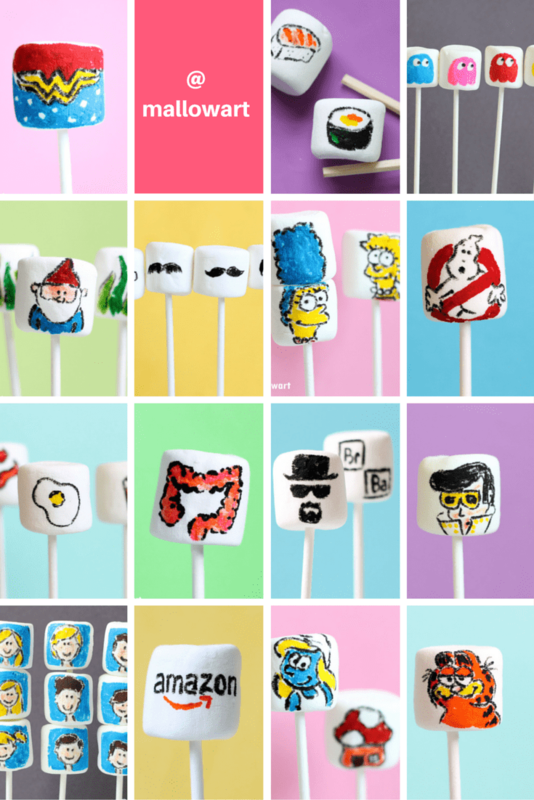 Never would have thought to draw on marshmallows – such a fun idea! I use my wilton markers to draw designs on cookies before flooding. Sometimes the marker bleeds into the icing. Any ideas why? Btw I use glaze icing not royal. It’s basically food coloring in there, so it can seep into the designs. I’d try a super light touch on the cookie and less water in the icing. Or, skip the design part of light colored cookies. can you tell me how far ahead I can use the wilton markers on fondant? I am doing cupcakes of the periodic table and I want to write the elements ahead of time. I was going to use sugar sheets, but I would have to do them all the day of. Then I thought I could write on fondant and store it air tight, do you know how long the writing lasts in storage? STephanie, I’ve written on fondant ahead of time. I’d not go more than three days before. Let the fondant dry a couple hours first (it will stiffen a bit, but not fully harden) and then draw. Then store in a single layer in a tupperware container. Don’t stack the fondant. Are these for cupcake toppers? Do NOT refrigerate though. The moisture will smear the writing. Sometimes, if you go too long, darker colors (such as black) will bleed a bit into white fondant and get pink edges. But I’ve not had that problem when I’ve done fondant toppers a day or two before. Thank you so much for the info on the edible writers! Now I can add to cake and cookie decorating. I am going to make a cake for my husband’s 40th birthday and would like to have the kids (ages 2 & 6) draw on the cake with decorating pens. 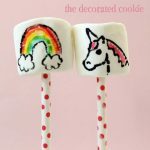 I’ve never made fondant but found a fairly simple looking recipe for marshmallow fondant. Do you know about this fondant and if the decorator markers would work on it? I plan on buying the Gourmet Writer Decorator pens. Hi! I’m trying to write messages on m&ms, which pen do you recommend for that? I’ve tried the Wilton candy melt pen, it’s too thick and it bled. Thanks! I find the finest tip and easiest to use is the FooDoodler Fine Line pack of 10. (not the regular ones, the “fine line.”) They would be your best bet, I think. The candy shell on M and Ms isn’t super duper conducive to the writers, and you may find it smears or resists it, but I think it’s the best chance you have! Hope this helps! I have the Duff Goldman food writer. I bought the set on clearance at Michaels, but I found them dried out. Can I soak them ahead of time? Any suggestions that I could use to restore them? I’ve never tried the Duff food writers, but now I have to find them to add to my list! Bummer about them being dried out, too. I’m guessing they are similar to the KopyKakes. I found those dried out very quickly, whereas the Americolor and FooDoodler ones are more marker-like and didn’t. Although, unless there is a chamber you can access inside, I’m not sure there would be any way to truly restore them. I suppose you could try soaking the tips in a matching color of food coloring, but I would imagine that would be a temporary fix, more like a tool to dip in food coloring and write with, more than fully restoring. I know they were on clearance, but I wonder if Michaels would take them back? Sounds like they were on the shelves a wee bit too long (by my guess, at least a year or more). I’m making a cake tonight, so I hope someone could get back to me asap… I am hoping to put a sugar sheet on the cake, and write on it with a black Wilton Food Writer marker.. Will is bleed? Should I not refrigerate it? Will it be okay? HELP PLEASE!!! Hi Amber! Hmmmm…. Although I have used the preprinted ones, I’ve never written on a sugar sheet, so I wish I could give you a definitive answer. But in my view, the markers should be fine if it’s for tonight, but I think that putting it in the fridge would NOT be a good idea. Is there fruit inside the cake? Or any need to refrigerate it? I also put my plain cakes with buttercream frosting in the fridge because I like them, but I think the moisture could cause the bleeding. Hi! My daughter’s birthday in on May 17th and yesterday I wrote her name in a piece of fondant so as to use it as the top of the cake that day. I’d like to know if in two weeks’ time the taste is going to be ok or if it’s better to draw the design with edible markers the day before of the event. I have the Americolor Gourmet Writers. Thanks a lot!! Regards! Taste-wise, fondant lasts a pretty long time if you keep it sealed. You MAY be OK with the writing that long. I’ve had fondant that I drew on last weeks/months which I realized only because I packed up a lot of stuff I made to photograph for my book and was surprised at how well it held up. However, I’m not super-confident that the writing will be exactly the same on May 17 as it is today. The markers can bleed a little (I love the gourmet writers, they are the best). So my not-very-committal answer is that there is a chance you’d be OK, but you’d have a much better chance if you wrote on fondant only a day or two before the event. It would help to let the fondant stiffen and dry at room temperature for a few hours before putting it in a sealed container, but I would vote for closer-to-the-event the better! Hope this helps!! Thank you very much for your prompt reply!! I think I’ll follow your advice just to be on the safe side. Thanks so much! Regards. 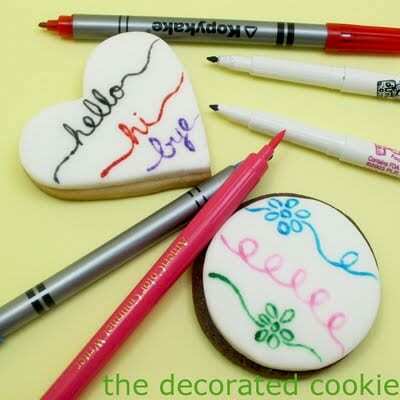 Hi, am wondering if the americolor gourmet pen colours will fade if I use them to decorate on cookies flooded with royal icing? Can I draw a week ahead of event or I should wait till a day or 2? Hi Waheeda, The colors surprisingly last well and likely won’t fade in a week, though I do think 2 or 3 days before an event is better. The cookies start to lose freshness by about a week. 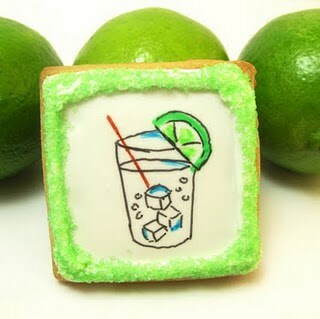 Will the markers work on cookies with no icing, like a sugar cookie? Yep! The markers will work on cookies without icing, Charlene. It’s a rougher surface, so the markers won’t “glide” as much and the drawing may be a little rougher. And the tip can pick up some of the butter/crumbs which makes it a little harder, but it will work. Hi! Thanks for this very informative post! God Bless! Beautiful work! I used edible makers also, mostly Wilton, on royal icing cookies. I have HUGE problem with black breaking down IF the cookie is bagged. Open iar is fine, but bagged cookies bleed 100% if the time. Any ideas, suggestions short of ‘don’t bag!’? I’m shaking my fist at black food coloring! I haven’t had the problem you’re talking about with markers, even black on white (though I mostly use Americolors or the Foodoodlers, wonder if that makes a difference?) but I know black food coloring can be a bugger.And I’ve had black icing bleed more on white backgrounds. But I also do NOT thing my flooding icing too much. I add as little water as I possibly can to still have the flooded look. I also let the backgrounds dry super duper well, overnight at least, you can even let them dry two nights, before writing on them. And let the black marker dry fully before bagging. Is it humid where you are? I am also wondering if heat is somehow trapped in the bags. Will the markers work on a simple powder sugar & Milk GLAZE (as opposed to making a royal icing)? I would make the glaze so it hardens of course. I am trying to avoid having to make royal icing as it’s not my family’s favorite. Theoretically, it would (as in, milk or powdered sugar wouldn’t cause the markers to resist), but it would have to dry quite hard. So I would err on the side of more sugar and less milk. The points of the markers could indent the surface of the glaze if it isn’t fully hardened. But if it sets overnight, I think it would! PS. I would just use new markers (as in full of coloring) and a light touch! Some of my more used markers, I have to press more firmly. I am wondering if you have used the pens to write on apples? We saw a picture of an apple with name and date written on it on a Pinterest site however cannot find the original site and details of how this is done. Any insight you can give me would be wonderful. Thank you so much. Hi Mary Lee, I have used the pens to write on apples (and if you saw a picture of it, unless it wasn’t edible, I bet that’s how it was done.) The only down side is that the ink sort of slides a bit on the smooth surface. I would make sure the apple is totally dry and then don’t touch the apple for awhile after writing to let it fully dry! May I know for jelly, which food pen is suitable for water-based type so that it wont smudged? I tried using redman water colors n it smudged badly e next day after i took out fr fridge. Hi Mic, I’m confused what you’re trying to draw on. “Jelly” an JellO or a gelatin product? I don’t know any food pens that would work on anything like that I’m afraid :(. I was wondering if the markers would wrote well on jelly rancher lollipops? And, I hope to bag them, but the posts above make me think it that if I can write on them, the ink will bleed. What do you think? I don’t know that drawing on hard candy would work… maybe if it was a very light candy and you weren’t doing much, like a smiley face… But if I had to guess, I’d say you’d have trouble :(. I was wondering it there is such thing as white food coloring marker/pen? If so which one do you use? Hi Cindy, Nope, not that I know of. I wish! But I don’t know that it would be strong enough to write on any color without showing through. I just purchased a couple of Paper Mate Flair markers at a cake supply store. They seem to think that they can be used on food items…..I’m not so sure. Does anyone know for sure? I’ve googled the question to no avail. I haven’t heard of them, but if they were at a cake supply store… I’m going to do some research too :). You’re right, nothing on google about food stuff! Just says it’s water-based, so maybe it’s not toxic, but it has to be ink in there, not food coloring. How do these pens work on white chocolate? We are having a day of the dead wedding and I want to make some cake balls dipped in white chocolate and make day of the dead faces on them. Please let me know. They sound wonderful. I found this to be the most difficult order form to complete. I hated to cancel my order, but could not make sense of the procedures. Hi Patricia, I’m not sure I understand what you’re trying to do? Perhaps you have the wrong web site? Hi, I just made cookies and decorated them with icing and used the food markers on them. They are to be distributed singly. But I don’t think that I should put them in baggies. Any suggestions. Do you know if they still make the waxed paper sandwich bags and word that work? Hi Connee, I usually do put the cookies with food markers in little baggies, although the waxed paper sandwich bags would be a good idea too. You could possibly even make your own with squares of wax paper and a piece of washi tape. Although I let them dry well, maybe even overnight if you have the time. (Assuming you also let the background dry overnight before using the markers.) You can test it by running your finger over a little bit of a cookie and seeing if it smudges, but I’ve had great luck packaging them. The markers should dry very well. That is a really nice post! Have you hear about our new line of food pens? In Deli Food Argentina SRL we dedicate to the development and manufacturing of innovative articles for creative bakery. We are gold members in Alibaba, and our products are Kosher certificated and FDA registered. Come and visit our website! Great post btw. Have you or anyone used any of these edible pens to write on soft cream, as in regular whipped cream, or even steamed milk? I’m not looking at just ‘adding color’ to cream or lighter. Could I draw on this lighter texture or does it need to be harder surface? Hi Rosa, It definitely has to be a harder surface. They are very much like regular markers. So it wouldn’t work on milk or whipped cream. You might be able to use a paint brush and food coloring for whipped cream though! I must say i have been doing research on edible markers for writing on royal icing and this thread of comments has been most helpful. Im having one issue however, I flooded my cookies with no problem and allowed them to dry completely overnight, i then proceeded to draw on the cookies, the pens worked beautifully no bleeding at all. I allowed ample time for the writing to dry and tested it by simply running my fingers across the top – no smudge. However after putting them into sealed cello bags it didn’t take long until the pens smudged. I don’t know what to do. Id like toe distribute cookies individually in bags but don’t want to run the risk of an imperfect finished product. Any tips? Hi Sarah, Hmm…. I’ve never seen that happen and I’m at a bit of a loss, especially since you’re allowing them to dry completely overnight. Is your climate humid? I wonder if that can be a culprit (in which case, maybe running a fan on the cookies?). Or, sometimes moisture from the cookies can get into the icing, so I often bake my cookies for a few extra minutes. I also usually err on the side of thicker frosting when flooding, rather than thinner. So you can still flood, but it’s not super-runny, because the only real culprit I can imagine is the water from the frosting making the smudge. I’ve packaged Americolor, FooDoodler, and Wilton brands with no problems. What brand are you using? Maybe I’m not familiar with it? Hi. Can I store the drawing pens outside at room temperature or refrigerate? Hello! I store them at room temperature, definitely. In a dark place (my cabinet). 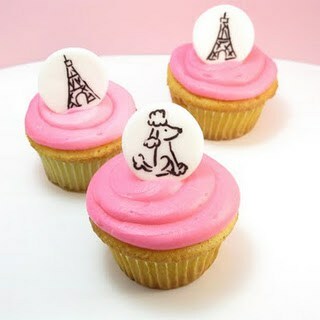 Have you ever used the markers to ink up a stamp and then stamp onto total icing?? Hi Katie, yes! I have! (I use the method in my book.) I find that the markers with the heaviest liquid work best, so I’d recommend the Americolor Gourmet pens. The thicker Wilton markers from the craft store are also a good choice. The Foodoodler fine line set is just too narrow. Thank you so much for making this post. I’m working on an order that requires a lot of precision and I think I’m going to use your suggested markers as a guide for my royal icing. I’m hoping they will write well on a naked cookie. I suspect I could have some issues if it is an especially fatty cookie, but hopefully overbaking them to a crisp cookie instead of a soft one will provide a more acceptable surface. I’m still deciding on which type of edible writer to purchase, but your guide has definitely helped me look in the write* direction. *Hah. puns 🙂 Thanks again! You’re exactly right Emilia, about the moisture and fat in a cookie and going for a crispier surface. I think it will work on the bare cookie, it might just not be super sharp. I’d probably go for the Americolor Gourmet Writers! I always get those and the Foodoodler fine line set, and that is all I need. Thank you so much!